You are here: Home Integrated Farming Is Homesteading For You? "We'd really like a place with some land. Kind of rustic. We're considering off-grid so we can tread lightly on the earth and leave a smaller carbon footprint. I think we'd really like to grow our own food, too." Oh... It is so far from everything. 10 miles! What if we have a fire or medical emergency? Wow... Five acres... That is a lot of land to take care of, I don't think I want to have to do that much work on land that I really don't need. What do you mean it only has one bathroom? We're so far from town. And it snows here. What if it snows and we can't get in to town? This place is just so beautiful, but I really want to be able to bike in to town. Solar panels! How cool! Oh, dear. This is an awfully small refrigerator. Hey look! Two chickens already here! I won't have to buy chickens! Many people who dream of "homesteading" come face to face with the reality, and decide maybe they didn't want what they thought they did after all. Many of the most basic tasks involved in homesteading are a shock, and the reality of the incompatibility of wilderness environs with easy city access takes a while to sink in, if it ever does. Homesteading is not for the faint of heart, no matter how you define it. And there are a LOT of definitions! It may mean something as simple as owning your own land, and raising chickens for the first time. It may mean having multiple kinds of livestock and a thriving garden. It may mean being totally off-grid and producing the majority of your food. It may mean all that and an income from the land as well. But it comes with some realities. It takes more than 2 chickens to make a significant contribution to a household in either eggs or meat. Living far from "civilization" is part of the thrill of the adventure. It is independence. Independence does not come from depending on others to rescue you in an emergency, it comes from learning to avoid emergencies and having your own plan in place if they do happen. Five acres of land is not a lot of land. And a lot of land does not require "taking care of". Left alone, it pretty much takes care of itself - that is what woods and fields are. It is not a gigantic lawn. It does not need to be mowed. Year by year you may want to bring parts under cultivation, or fence it for livestock. But it does not require "taking care of", and you do not have to landscape 5 acres. The real work is in producing food. A no-till deep mulch garden is hands down the simplest way to grow vegetables, but even then, it is work. Every day during at least 4-5 months, and more if you garden year-round. It takes 15 minutes most days. An hour or two other days. If you don't want to do that work, you are not ready to homestead. Animals require tending. Every day. 15 - 60 minutes per day, depending on how many animals, and how you feed them. At least. And you don't get a vacation. If you are not ready for that kind of commitment, you are not ready to homestead. Acreage means more isolation. More isolation means more distance to services and groceries. More distance means you keep more on hand - a large pantry is essential. Filling it is essential. Knowing how to cook with what is on hand, even when what is on hand is not what you'd prefer to cook, is also essential. If you can't handle that reality, you are not ready to homestead. If you are not ready to homestead, you can GET ready. If your heart yearns for something more, deeper, more meaningful, you can practice, and get ready! Learn to cook from scratch. 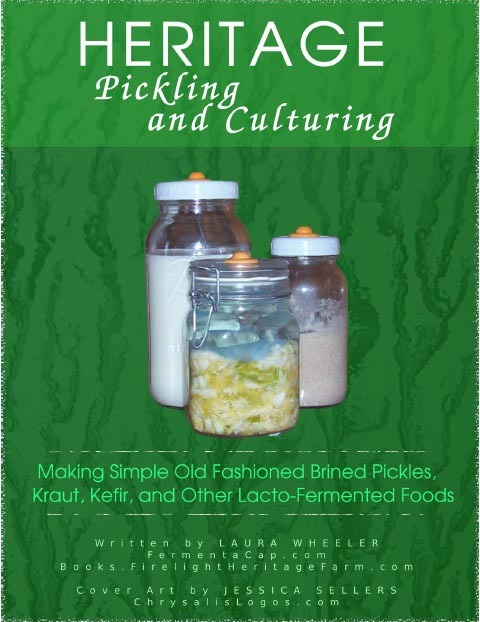 Learn to preserve food (canning, drying, smoking, curing, freezing). Learn to be frugal. Learn to shop for groceries only every two weeks. Learn to make kefir from raw milk, and cheese from kefir. Learn to conserve energy in your home. Learn to drive in the snow or to handle other inclement conditions. Visit someone who is living the way you want to live, and read a few more blogs about it - you know, the funny blogs that actually tell the truth about the hair-pulling frustrations and hard-won triumphs. Get rid of the cable TV, and use the internet less. Funny thing, when you start learning to do more things, you have less time for them anyway! And teach what you learn. Teach your kids. Teach your friends. Teach people online. Because if you learn to be ready to homestead, there are a lot of other people with that yearning, growing in their heart, who want to get ready too.